I was halfway through venting to a girlfriend today about my exhausting schedule of Mother’s Day parties for my boys, home-school testing for my daughter, coaching track, and the birth of yet another litter of pet bunnies…when I stopped dead in my tracks. I actually heard myself. My friend, who deeply desires a baby of her own, was nothing but supportive and encouraging to my rants, but I had forgotten. I had forgotten that particular Mother’s Day nine years ago when I woke up feeling hollow because…just days before there had been life in my womb. Even though I had already been blessed with a daughter, it was the loss of this unborn child which defined my holiday. As mothers were celebrated all around the world, my heart ached in a place that was lonely…longing to hold that baby just once. Mother’s Day felt so…in-my-face. I lost two more babies before being blessed with my sons. That broken place in the depths of my soul never returned to the normalcy I had previously known. I was changed, less naive, and different. You see, there is a piece of me that is forever bruised. It is the tender place from which tears can come without notice…that place that allows me to cry with a woman I don’t know because I understand her longing for a baby of her own. I looked back into the eyes of my friend and apologized for forgetting the blessing behind my hectic schedule. Her eyes filled with tears and then so did mine. We held each other with that understanding of loss and longing. So today my heart remembers that, although I will be uplifted in celebration on Sunday, there is a darker side to Mother’s Day, one which often gets overlooked, and behind it is a woman who needs a hug. 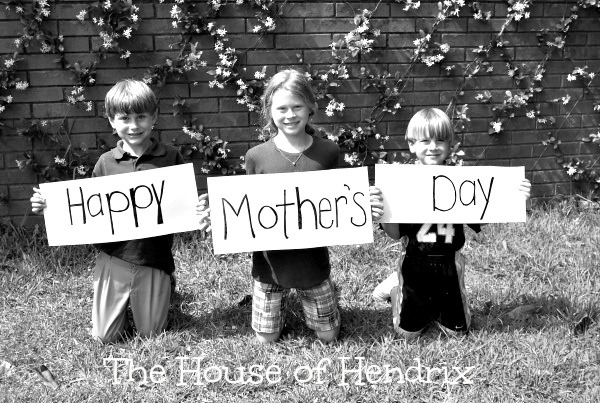 I’d love for you to follow The House of Hendrix below, and if you haven’t already, join our Facebook community here. 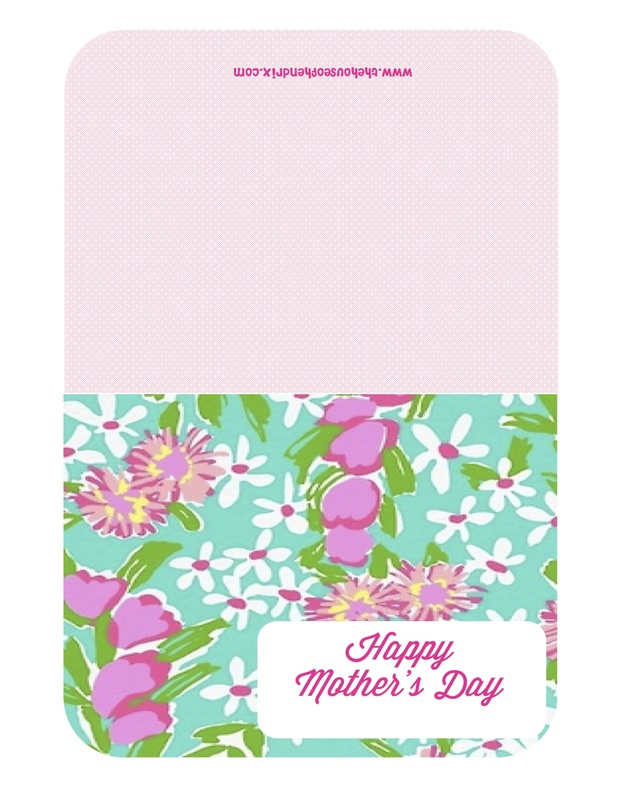 Take one picture and mail it to the grandmas, great grandmas, aunts, and special ladies in your life. For a fresh and inexpensive way to honor the women in our life this Mother’s Day, we took one picture of my children holding a sign saying “Happy Mother’s Day”. I had 7 copies printed at Costco for $1 (I did 8×10 size) and then mailed to the mothers, grandmothers, great-greatmothers, aunts, and special women in your life. It feels so personal and the recipient doesn’t realize it went to anybody but them. It was a huge hit! 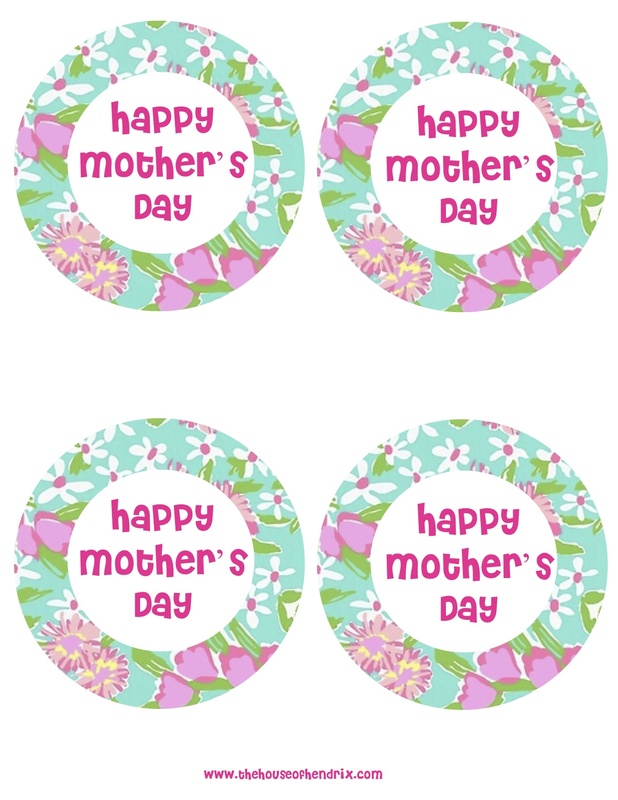 Here are a few Mother’s Day cards and labels in a cute floral pattern. My husband just walked up asked for the name of my blog so he can print a card for me. Humm. Print on card stock, cut, and fold.